What Does White Lake Limited Partnership Mean to the Community? 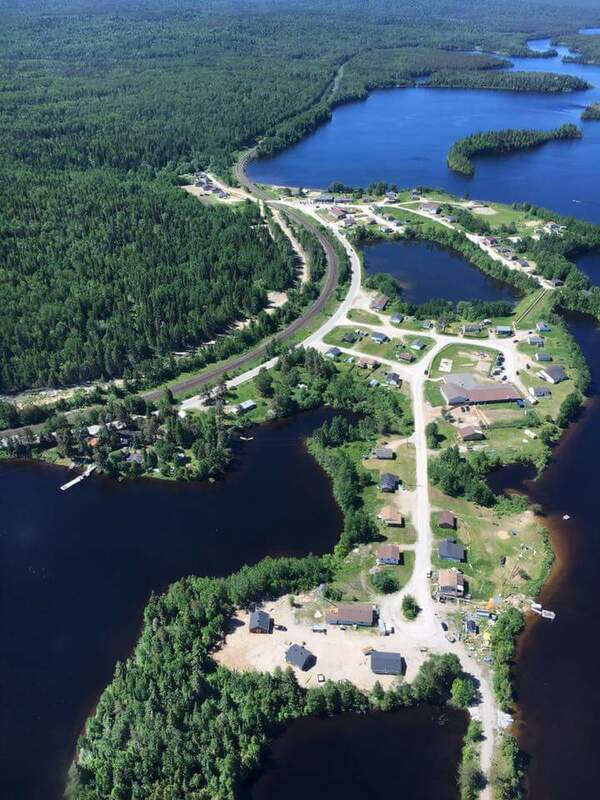 White Lake Limited Partnership (WLLP) is the principal business development corporation of the Netmizaaggamig Nishnaabeg (Pic Mobert First Nation). It was formed in 2009 as part of a long-term sovereign wealth strategy designed by our people, for our people. The corporation aims to create economic opportunities, to foster community independence and develop a sustainable future for the generations following us. Over this time-frame, we have moved from $0 business revenues to over $50 million/year gross revenue combined for all of our wholly- and partially-owned companies, and our developments employ well over 175 people. Today, White Lake Limited Partnership is a completely self-sustaining organization. We have not received any form of operating funds from Pic Mobert First Nation for several years. In fact, in 2017 we paid over $600,000 in wages to our workforce and a dividend back to the community. In 2018 our goal is to pay a dividend of $200,000 to the Netmizaaggamig Nishnaabeg. Learn more about our operations on the About page. Click here to download the Annual Report presentation. 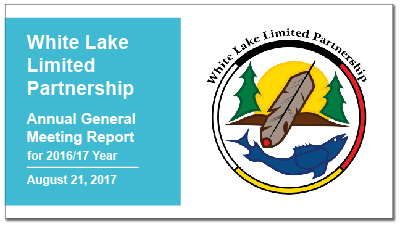 White Lake Limited Partnership promotes and supports entrepreneurship from the Pic Mobert First Nation membership by giving preference to local companies when buying goods and services for the partnership and when entering into joint ventures and partnerships. Learn about our Community Entrepreneurship Policy here.